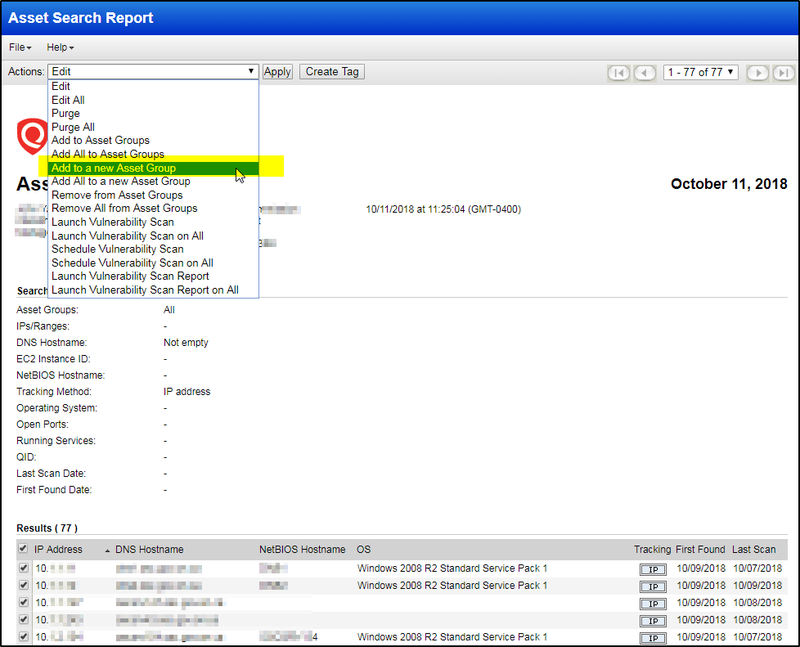 Not Found 90 Days Assets : not tags.name:"Found in 90 days" and activatedForModules:"VM"
OS Not Identified Assets: not operatingSystem: "windows" and not operatingSystem: "HP" and not operatingSystem: "Ricoh" and not operatingSystem: "Linux" and not operatingSystem: "VMware" and not operatingSystem: "Xerox" and not operatingSystem: "Cisco" and not operatingSystem: "Power Supply"
To reduce / suppress the duplicated assets because of dhcp, one of effective methods is to enable agentless tracking. 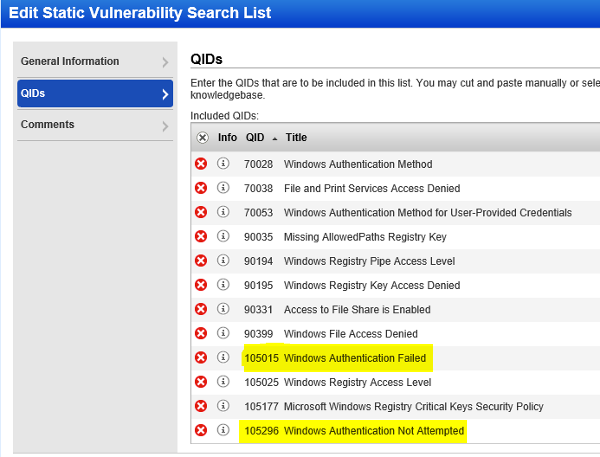 In order to support Agentless Tracking capabilities, QualysGuard will write a unique host ID on your Windows and/or Unix hosts during authenticated scans with agentless tracking enabled. 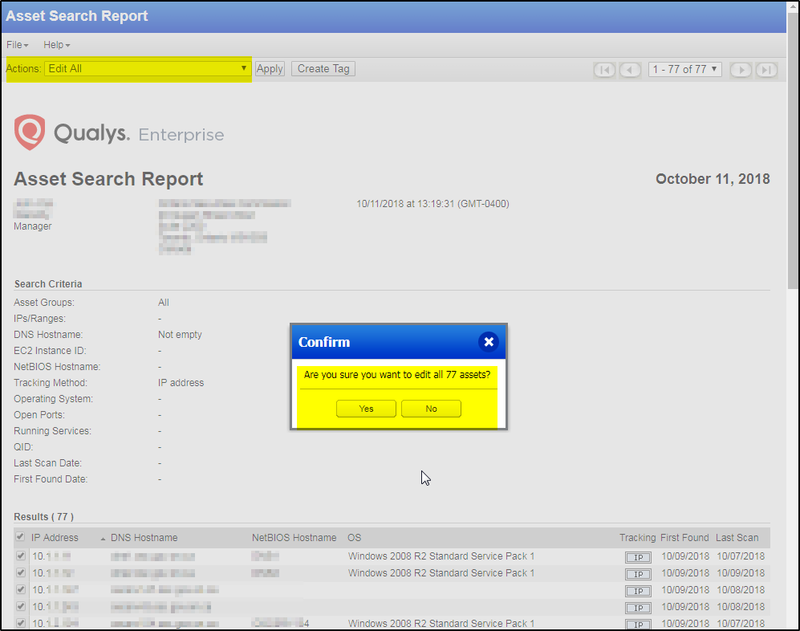 Once the Manager primary contact has accepted this feature, agentless tracking may be enabled in Windows and/or Unix authentication records. For additional help, please visit the online help . 2.2. 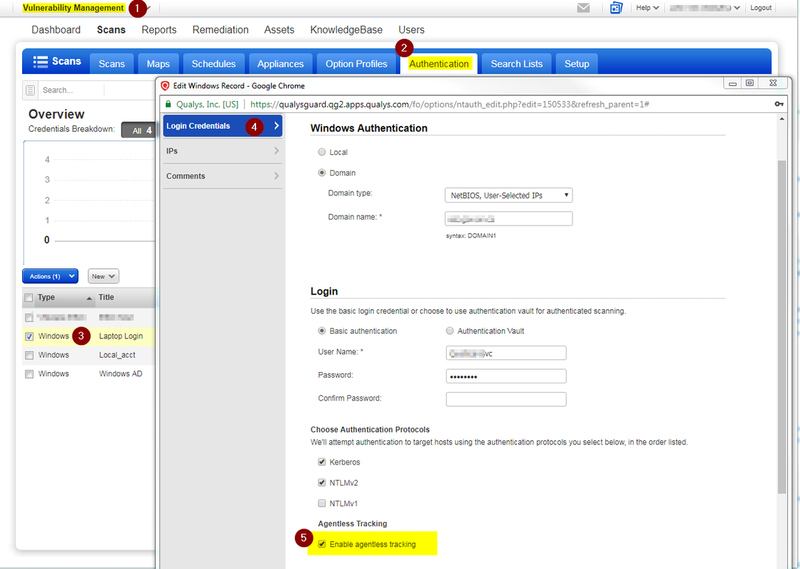 VM > Scans > Authentication > Edit [Your Authentication Record] > Login Credentials > "Enable Agentless Tracking"
2.3. 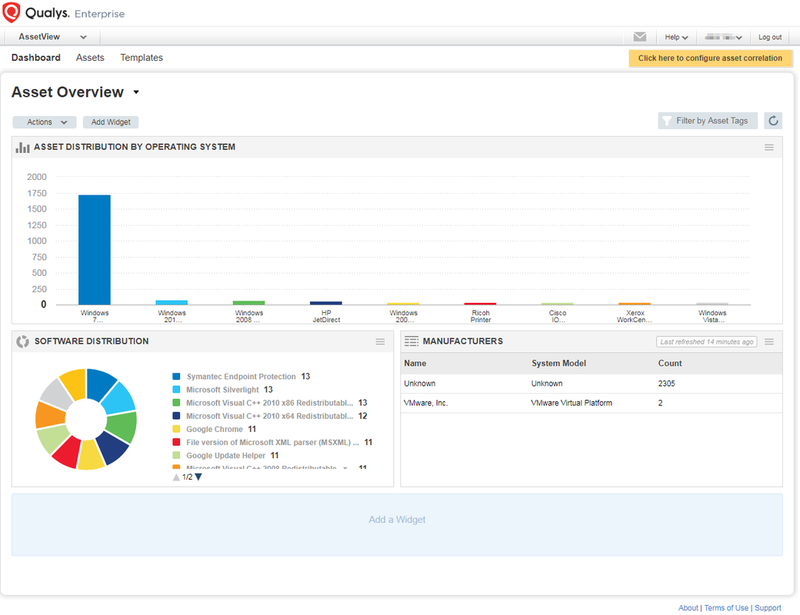 VM > Users > Setup > Cloud Agent Setup > "Show unified view of hosts"
Qualys provides multiple mechanisms for tracking assets in your environment; IP, DNS, NetBIOS, Agent, and EC2. 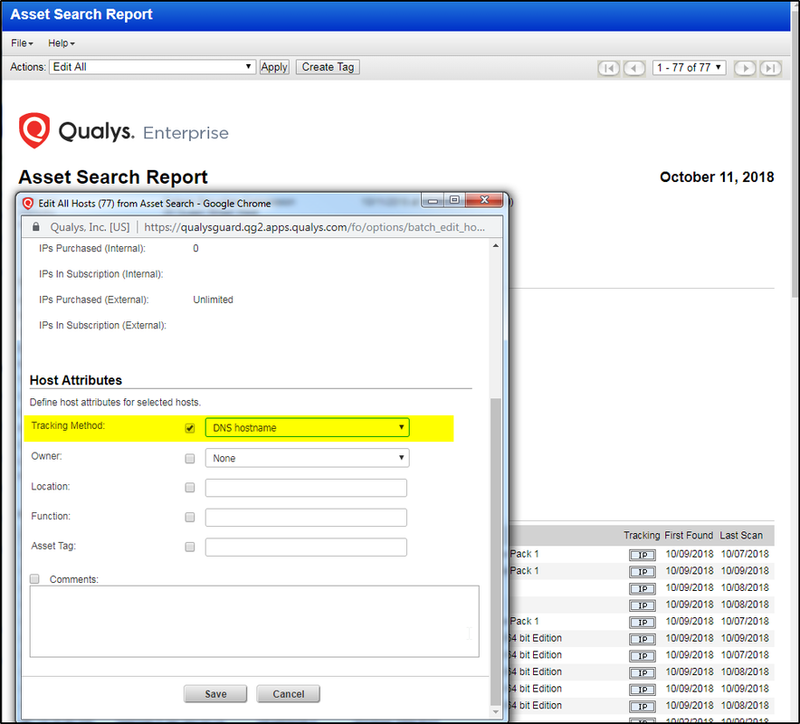 In Qualys IP tracking is the default mechanism. DNS and NetBIOS tracking are most useful for DHCP networks. 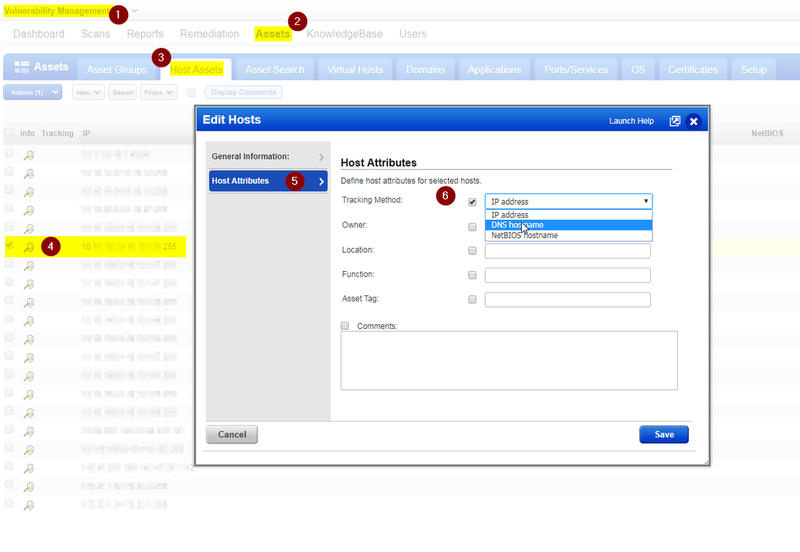 Change IP tracking method from IP to DNS, it will require to remove all hosts assets. Basically remove all assets then start it from beginning. It will also bring one small issue to those DNS hostname could not be resolved. 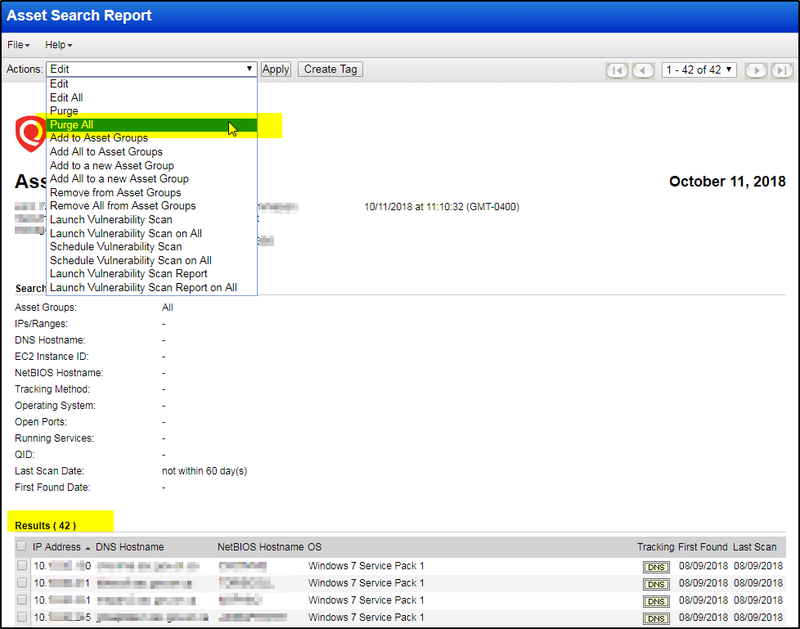 To change all ip tracking method machines to dns hostname tracking, I will need to search all assets with DNS name is not empty and tracking method is IP, then put them into a new group to do whatever you need to do, or edit all of them to change tracking method. 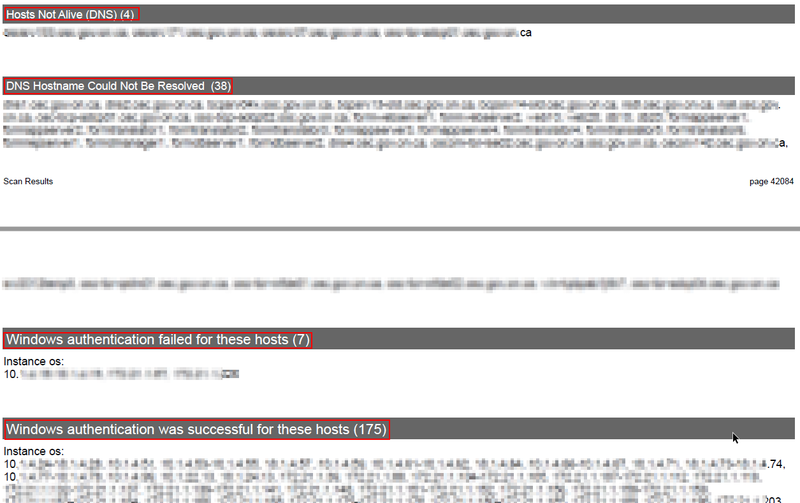 If you have some hosts which DNS hostname could not be resolved by your DNS servers, they will not be scanned. 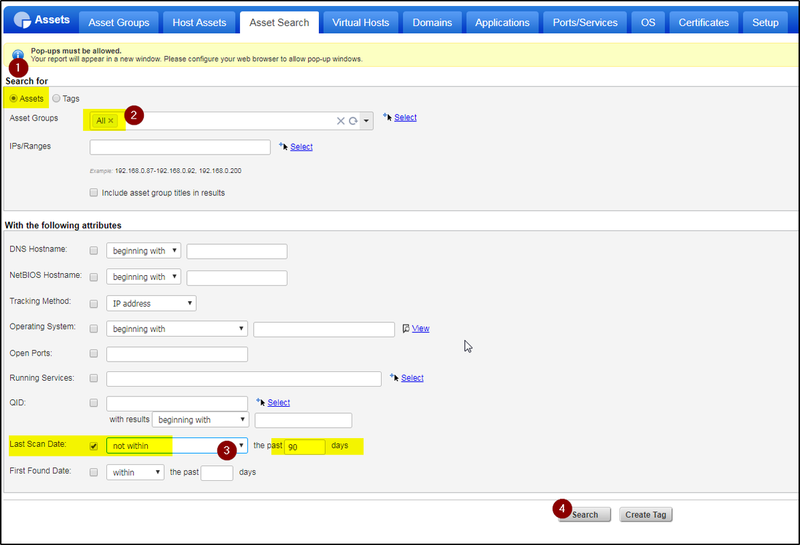 Here is a screenshot for those DNS hostname could not be resolved. 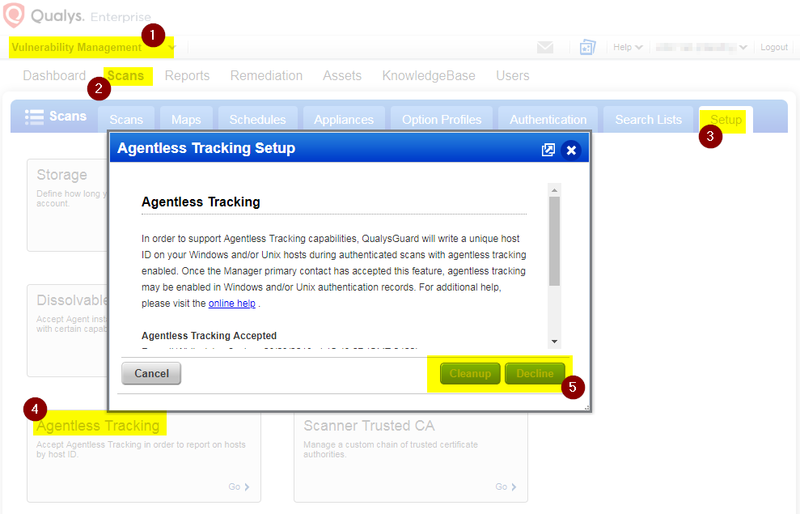 You will need to manually change them from DNS tracking to IP tracking. The idea is to find all assets not scanned in last 90 days then purge them all. 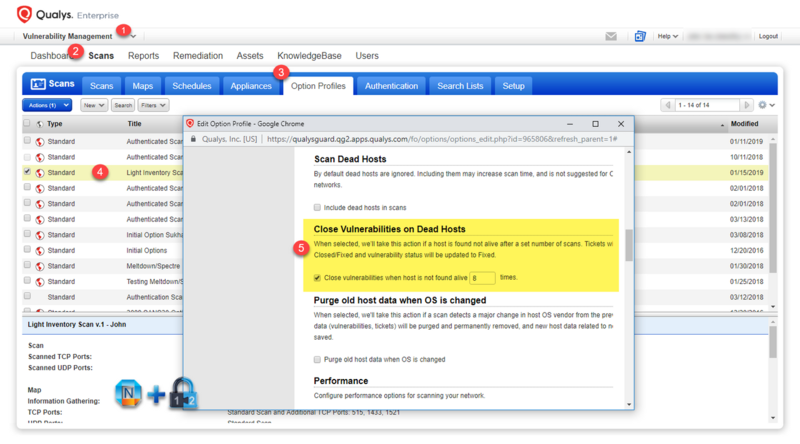 From your Scans -> Option Profiles, enable the option to Close Vulnerabilities on Dead Hosts. 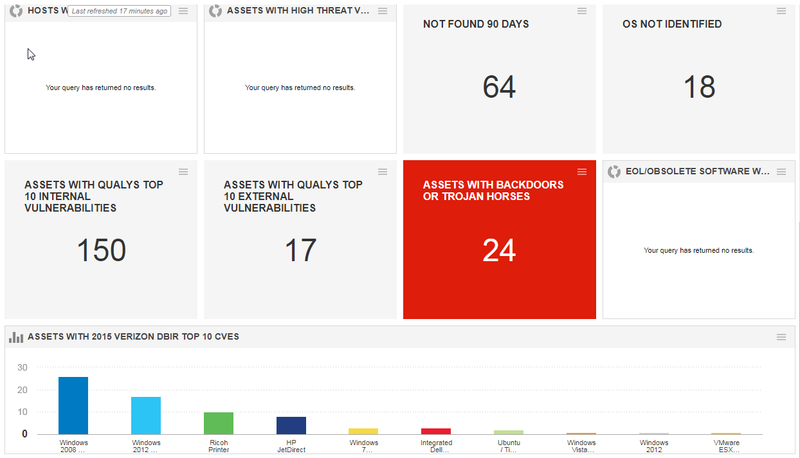 1) Purge any assets that have not been scanned in some reasonable number of days. Depending on your scanning schedule this might be 30, 60, or 90 days. 2) Determine if this is DHCP and set the tracking method for the network range appropriately. 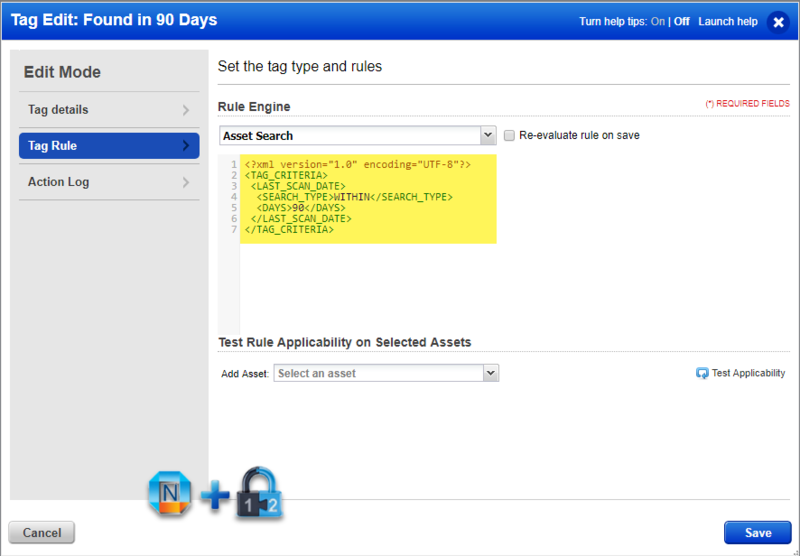 NOTE: To convert to DNS or NetBIOS tracking all assets must have a DNS or NetBIOS name on them already. So, there may be some clear up and rescanning required to make that happen. 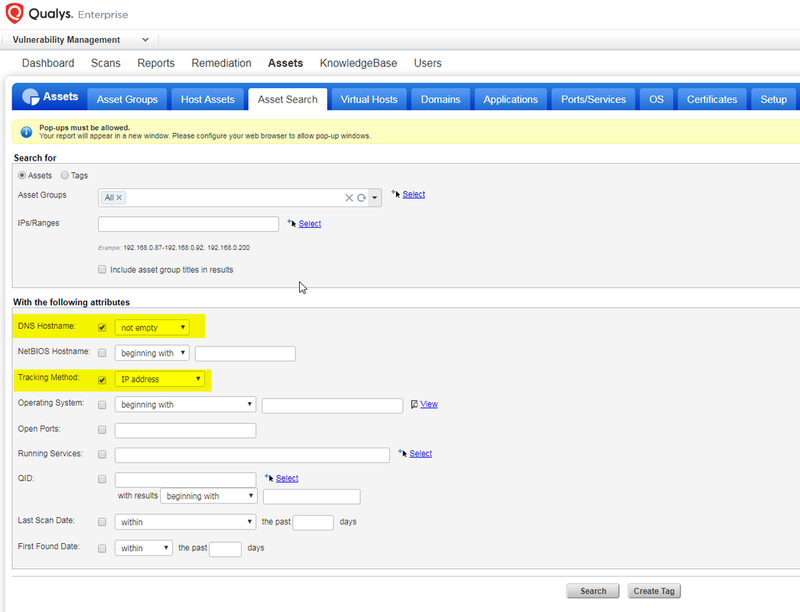 3) Configure and test authentication records, ensure Agentless Tracking enabled in the authentication record. 6) It is always a good practice to have a regular purge process. 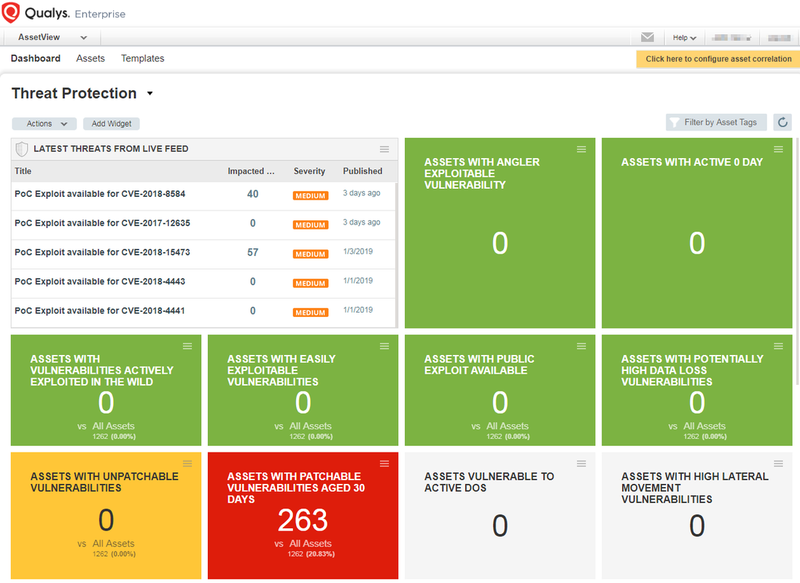 This can be accomplished in numerous ways, but for good VM practice, it is imperative that the vulnerability data be accurate, timely, and actionable.